The purpose of this study was to determine how the length of plate appearance relates to hitter success metrics and what factors a hitter can control to impact success. In 2011, 1743 MLB plate appearances were monitored by length of plate appearance time, outcome with success or failure, extra-base hit percentage, location, inning, final pitch velocity, etc. Data was fractionated to compare plate appearance length ( <30 s, 31-97 s, and >97 s), and percentages of both success and extra-base hits. One way ANOVAs were run to assess differences between plate appearance durations and each of the outcome variables. Plate appearances lasting less than 30 seconds and longer than 97 seconds had greater on-base percentages than those plate appearances lasting from 30-97 seconds. Plate Appearances lasting less than 30 seconds resulted in greater extra-base hit percentages than those lasting longer than 30 seconds. Batters had greater success against left-handed pitchers than right-handed pitchers (.336 vs .410 OBP, p<.005). When fractionated, there was a statistically significant difference between fast pitch success or slow pitch success (p=.0167). Baxter, Kevin. (2007). “20/20 Vision? You Might Just Be Batting Average.” The Los Angeles Times. April 27, 2007, accessed July 29, 2012, http://articles.latimes.com/2007/apr/23/sports/sp- vision23. Burger, J. & Lynn, A. (2005). “Superstitious Behavior Among American and Japanese Professional Baseball Players.” Basic and Applied Social Psychology 27: 71-76. Crasnick, J. (2009). “Barry Zito gives San Francisco Giants a lift in drive for playoffs.” http://sports.espn.go.com/mlb/columns/story?columnist=crasnick_jerry&id=4454709. Dutton, B. (2012). “Hosmer sees current struggles as a step to better times.” The Kansas City Star. July 30. http://www.kansascity.com/2012/07/30/3731395/hosmer-sees-current-struggles.html. Frohlich, C. (1984). “Aerodynamic Drag Crisis and its possible effect on the flight of baseballs.” American Journal of Physics 52: 325-334. Garrett, W. & Kirkendall, D. (2000). Exercise and Sport Science. Lippincott Williams and Wilkins. Gray, R. (2002). “‘Markov at the Bat’”: A Model of Cognitive Processing in Baseball Batters.” Psychological Science 13: 542-547. Hample, Z. (2007). Watching Baseball Smarter. Vintage. Katsumata, H. (2007). “A Functional Modulation for Timing a Movement: A Coordinative Structure in Baseball Hitting.” Human Movement Science 26: 27-47. Katz, Stanley. (1986). “Study of ‘The Count’ Yields Fascinating Data.” SABR Research Journal. Lindsay, G. (1963). “An Investigation of Strategies in Baseball.” Operations Research 11: 477-501. Lindsay, G. (1959). “Statistical Data Useful for the Operation of a Baseball Team.” Operations Research 7, 2: 197-207. McFarland, J. (2002). Coaching Pitchers (3rd Edition). Human Kinetics. McPherson, S. & MacMahon, C. 2008. “How Baseball Players Prepare to Bat: Tactical Knowledge as a Mediator of Expert Performance in Baseball.” Journal of Sport and Exercise Psychology 30: 755-778. Peaver, D. (2012). “Tales of some Spinners who didn’t make it to the big time.” The Lowell Sun. July 27. Accessed July 28, 2012. http://www.lowellsun.com/rss/ci_21185520. Stefani, Ray. (2007). Statistical Thinking in Sports. CRC Publishing. Verducci, T. (2004). “Heady Stuff.” Sports Illustrated. August 9. Williams, T. & Underwood, J. (1970). The Science of Hitting. Simon & Schuster. Wilson, J. (2011). “Effects of Various Warm-Up Devices and Rest Period Lengths on Batting Velocity and Acceleration of Intercollegiate Baseball Players.” Journal of Strength and Conditioning Research. and analysis of the data for this paper. ISNAD Tzeel, Benjamin , Lowery, Ryan , Wilson, Jacob . "The relationship between various components of a plate appearance and the probability of success". 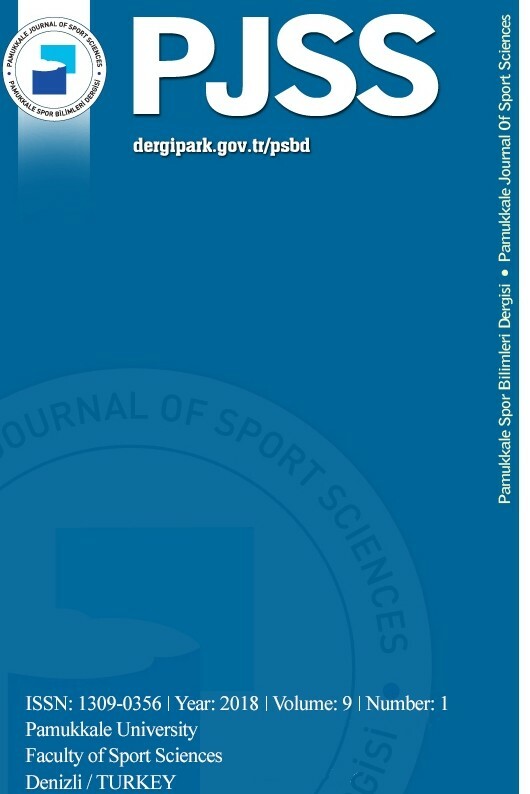 Pamukkale Journal of Sport Sciences 5 / 3 (September 2014): 23-34.